Ratley finished his rookie season with 13 receptions on 20 targets for 144 yards. Analysis: Drafted in the sixth round of the 2018 NFL Draft, Ratley was buried on Cleveland's depth chart from the beginning of training camp. 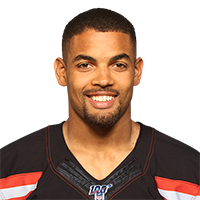 He did, however, have a solid four-game stretch in the beginning of the season when he hauled in 12 catches for 142 yards. From Week 10 on, though, the rookie wideout saw just one target as his time on the field disappeared. Ratley will likely fight for a depth role in 2019. Ratley played two offensive snaps and wasn't targeted during Sunday's 28-16 win over the Falcons. Analysis: A week after playing 27 percent of Cleveland's offensive snaps, the rookie wideout saw his snap count fall off a cliff Sunday, as Breshad Perriman seemingly leapfrogged him on the depth chart. 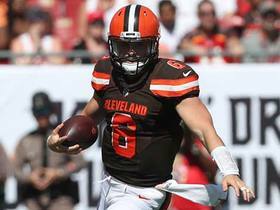 It remains to be seen how much he's involved coming out of the bye week in Week 12, but don't expect him to suddenly become one of Baker Mayfield's favorite targets. Ratley corralled two of four targets for 16 yards during Sunday's 37-21 loss to the Chiefs. 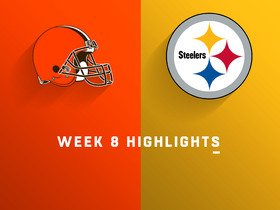 Analysis: With Rashard Higgins' return from a three-game absence, Ratley's playing time was expected to decrease, and while that was true Sunday against the Chiefs, the rookie receiver still played 27 percent of the offensive snaps. He was also targeted four times, which equaled that of Higgins. Still, Ratley should only be considered in deep and dynasty fantasy leagues, due to the fact he doesn't figure to be a key factor on offense going forward. 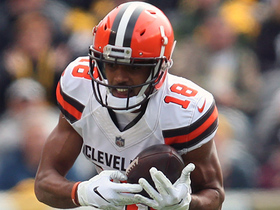 Cleveland Browns wide receiver Damion Ratley maintains control of the ball after gaining 21-yards against the Pittsburgh Steelers for Week 8. 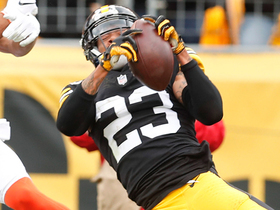 Pittsburgh Steelers cornerback Joe Haden gets his first interception of 2018 against the team that drafted him, the Cleveland Browns. 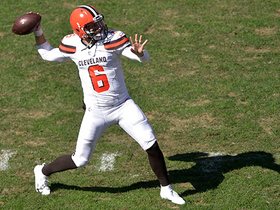 Cleveland Browns rookie quarterback Baker Mayfield shows elite escape skills on scramble throw. 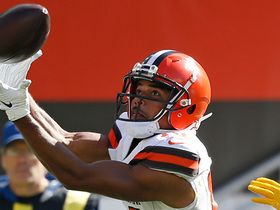 Cleveland Browns wide receiver Damion Ratley is undercut on a pass thrown by quarterback Baker Mayfield, but hangs on for 23 yards. 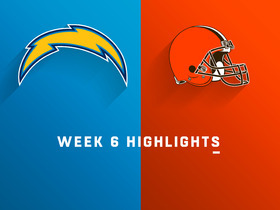 The Los Angeles Chargers get three touchdowns runs from running back Melvin Gordon and two touchdown passes from quarterback Philip Rivers in a 38-14 victory over the Cleveland Browns. Cleveland Browns quarterback Baker Mayfield unleashes a 27-yard pass to wide receiver Damion Ratley.